Elko, NV – May 11, 2016 – Lithium Corporation [OTCQB – LTUM] “the Company” is pleased to announce that it has signed a definitive agreement with 1067323 NV LTD, and 1067323 B.C. LTD., private Nevada, and British Columbia companies with respect to the San Emidio lithium brine property in Washoe County, Nevada. The terms of the formal agreement are; payment of $100,000, issuance of 300,000 common shares of 1067323 B.C. LT., or of the publicly traded company anticipated to result from a Going Public Transaction, and work performed on the property by the Optionee in the amount of $600,000 over the next three years to earn an 80% interest in the property. 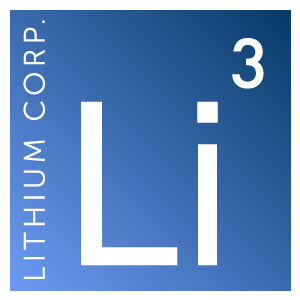 1067323 then has a subsequent Earn-In option to purchase Lithium Corporation’s remaining 20% working interest within three years of earning the 80% by paying the Company a further $1,000,000, at that point the Company would retain a 2.5% Net Smelter Royalty, half of which may be purchased by 1067323 for an additional $1,000,000. Should the Purchaser elect not to exercise the Subsequent Earn-In, a joint venture will be established. During the Joint Venture, should either party be diluted below a 10% working interest – their interest in the property will revert to a 7.5% Net Smelter Royalty. The first tranche of cash and shares are to be issued within 30 days of the signing of the formal agreement. Actual results could differ from those projected in any forward-looking statements due to numerous factors. Such factors include, among others, the inherent uncertainties associated with mineral exploration and difficulties associated with obtaining financing on acceptable terms. We are not in control of minerals prices and these could vary to make development uneconomic. These forward-looking statements are made as of the date of this news release, and we assume no obligation to update the forwardlooking statements, or to update the reasons why actual results could differ from those projected in the forward-looking statements. Although we believe that the beliefs, plans, expectations and intentions contained in this press release are reasonable, there can be no assurance that such beliefs, plans, expectations or intentions will prove to be accurate. Investors should consult all of the information set forth herein and should also refer to the risk factors disclosure outlined in our most recent annual report for our last fiscal year, our quarterly reports, and other periodic reports filed from time-to-time with the Securities and Exchange Commission.